This Dive & See 16mm HDMI bulkhead is used with either the DNC-7 or DNC-5 Monitors and will allow you to get an HD monitor underwater. This bulkhead is compatible with many video and DSLR housings. All of the Dive & See bulkhead connectors have water blocks and are open face pressure rated to 85 PSI. The bulkhead connectors fit into existing free ports in your housing and are easy to install. 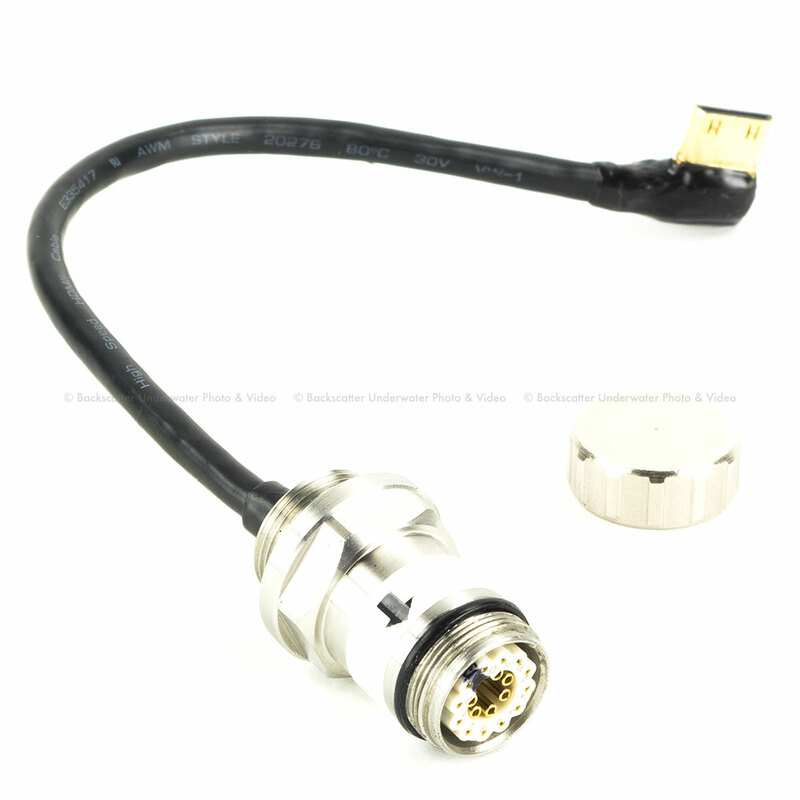 Other custom length and other connector types are available. Please CLICK HERE to ask about custom options or to learn which bulkhead option that you need.